All roads led to the Surulere facility in Lagos as all the Ten regions of the Lagos Church converged for a special joint Sunday Worship Service on 19th May, 2013. Though most people left the Church premises on Saturday evening, a bit weary from the long day at the AGM, they arrived bright and perky on Sunday morning for the Church service. As usual, the fellowship was powerful as Christians from the different regions and delegates from Churches across Nigeria mingled. After a rousing Praise and worship session, the Church settled down to the Communion message presented by Lucky Orumwense of the Oshodi/Isolo Region. The message was taught in a unique way as three non-staff leaders taught on the pillars for the year. Uwamai Igein, of the Ikeja Ketu region began by teaching on The Power of Leadership. Using Matthew 28:18 – 19, as his main scripture, Igein revealed that Leadership gains power through the name of Jesus Christ. As a result he urged Disciples of Christ to focus on the power deriving from Jesus name and forge on with evangelism and other Christian duties. He said they should not be tired or give up even if they are rejected by the people to whom they take the gospel because they were working for God’s glory not personal glory. The next preacher, Bayo Roberts of Surulere Region focused on leading a Spiritual home. He explained the power in daily family devotionals. Speaking extensively from personal experience, he urged disciples to make the sacrifice of time to commune as a family each day, in order to give their families a godly focus, and raise a future generation of young, committed Christians. Finally Emmanuel Ojo Odiase, of the Island region, preached on Mission Possible. His main point was “What Really Matters to God”. Tracing the origin of God’s relationship with man, and Satan’s attempts to thwart God’s purpose in that relationship, Odiase, said disciples need to share God’s pain and passion for souls. This identification he said was necessary if we are to succeed in soul wining. Alluding to his personal experience in the area of making disciples and leading Bible talks, he asked the audience to reflect on their lives, “What really matters to you?” he asked. Charging leaders of Bible talks to be effective, he revealed that God would bless our Bible Talks, when we make the effort to run them well. He also explained that the secret to successful Bible talks is for members to keep reaching out to people and to make the events, Fun, have food and good fellowship to share with guests. One of the highlights of the service was the Award ceremony at which a disciple from the Ilorin church who is a Police Officer, Bawa Elisha Daniel was honoured for his meritorious service to the Police Force and the Church of Christ. Bawa, who was baptized in 1999, has served in various parts of the South West as well as in Kwara State and has maintained integrity. 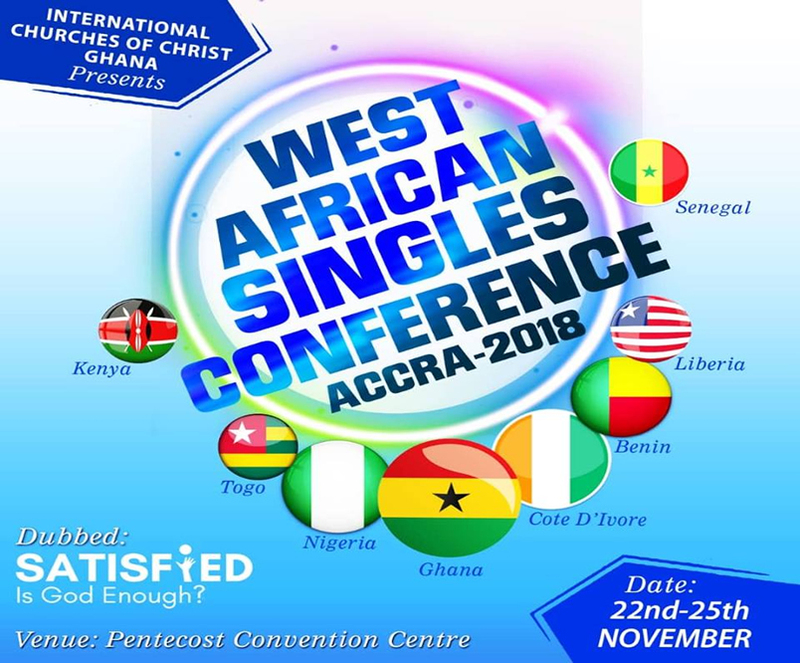 Video presentations were made for the upcoming church events – Hope Youth Corps, the West African Missions Conference and the Campus Conference, with the aim of attracting disciples’ participation in these events.